Many coffee shops in Our Colorado offer more than just a place to grab a cup of joe, they brew up an experience. PARKER, Colo. -- Many coffee shops in Our Colorado offer more than just a place to grab a cup of joe, they brew up an experience. That’s certainly true of a new place in Douglas County where they're serving up so much more than your morning fix. Inside Ponderosa High is a place called The Stable, a new java joint for students. And it's not the coffee that makes the place so special, but rather, the crew behind the brew. "I was being the cashier," said Brenden Mundy, sophomore at Ponderosa High. "It’s like Starbucks, but it’s called The Stable,” said senior Justin Rivero. At The Stable, kids with disabilities are whipping up a mean cup of joe and learning invaluable life skills in the process. "They let me be either the cashier or the coffee maker," Mundy said. “Because I'm good at math." 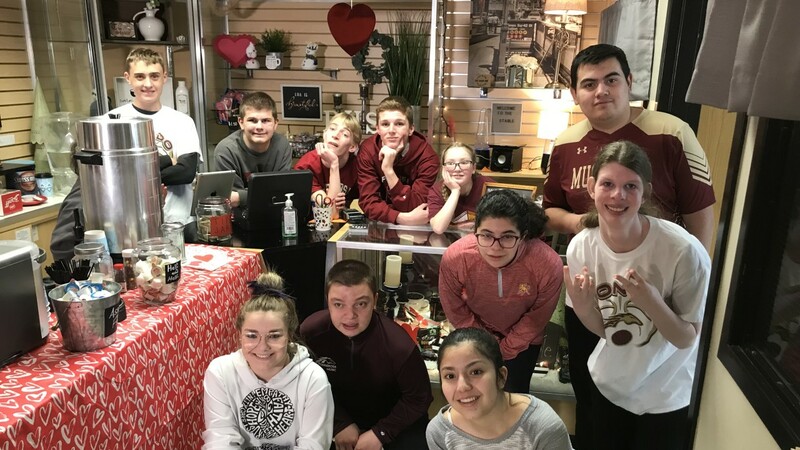 "The options of what it gives to my students are endless,” said Alli Fabrizio, significant needs teacher at Ponderosa High. “I mean, we're talking about budgeting that they're working on, communicating with people they might not have ever communicated with." "I'm seeing students who are normally soft-spoken and shy - talking louder and talking to students they've never seen before,” Fabrizio. And it's good for the other students, too. "I think it's like a really cool idea," said a fellow student who did not want to be identified for this story. "They love getting involved in the school and it's great to see them do that," said another. Since trotting out its grand opening last month, The Stable has been going full steam and getting rave reviews. "Perfect amount of ingredients and everything," Rivero said. The Stable is all the buzz at Ponderosa High. "And now there are frequent customers coming in for a cup of coffee,” Fabrizio said. Proof that the java joint is breaking barriers and building friendships - one latte at a time.